Hope you are all enjoying the 44! We want to get a good idea of how having your bus back has affected your life and the lives of your community members. Please take a moment to fill out this survey and share it with your neighbors! We got the buses back! Residents from Garfield came out to speak about the need for weekend service on the 89 at the February 26th Port Authority board meeting. 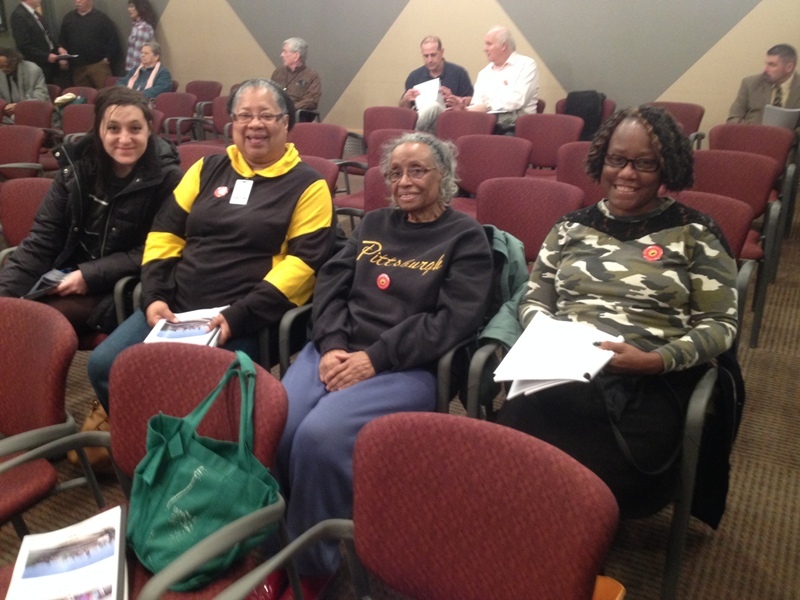 Baldwin residents came out in support of Garfield’s fight for service and to highlight how adequate transit has improved the lives of people in their community. Terry Breisinger and Dennis Donahoe of Baldwin and Annie McGowan, Mary Johnson, and Donna Lee Terry came together to speak to the Port Authority board about the need for solidarity between communities. After being stuck in a transit desert for years, residents celebrated their inaugural rides into town this morning! Dozens of Baldwin community members, along with Pittsburghers for Public Transit, rode the 44 Knoxville to downtown Pittsburgh. Even more supporters joined them for a celebratory rally at 6th Ave and Wood St.
Riders spoke about all the work they had done in the past year to advocate for service in their communities, and they thanked Port Authority and elected officials for listening to their concerns. Dennis Donahoe, resident at Churchview Garden Apartments in Baldwin borough, was thrilled to get the service back and shared his pride for everyone who came together to make this happen. Coverage of our celebratory rally! Jennifer and Jon Herron, both 30, stand by a new bus stop across from their home in Baldwin Borough on Thursday, Aug. 6, 2015. Jennifer Herron lives in Baldwin and works Downtown – she carpools but soon will take the new Port Authority 44 Knoxville, which will stop right by her house. Community organizer for Pittsburghers for Public Transit Molly Nichols of Regent Square pushes her bike up a hill in Baldwin Borough to one of the new bus stops that will be available to the area on Thursday, Aug. 6, 2015. Nichols organized the community to work to regain some bus service that was eliminated in previous years. Since May 2014, Baldwin residents–in collaboration with Pittsburghers for Public Transit–have been working on a campaign to restore much needed bus service to their community. Thursday April 23 @ 7:00 PM at the Baldwin Borough Building, 3344 Churchview Ave.
We will have our next Buses for Baldwin Community Meeting. We have been working since May to get transit service into the community. This meeting is a chance for residents to: a) get updates on the campaign, b) learn about more ways to get involved, and c) hear from elected officials who have been supporting our efforts. We would also like to hear thoughts from you regarding how we can most effectively continue this Baldwin for Buses Campaign. We feel that great strides have been made and we need continued support and action to reach our Goal of Bus Service. We have made a strong case to the Port Authority, and they are in the process of determining where they can add service next year. Now is a crucial time to make sure they know what our community needs! Thank You so much for your past support and work !! Join us at the meeting so we can get this job DONE !! Please click on this link for a flier, and consider sharing it with your neighbors or posting at a local business. We hope to see you on the 23rd! Participate in the public comment period at Port Authority board meetings to publicly express concerns about the lack of transit in the borough (the next one is Friday, April 24 at 9:30AM at 345 Sixth Ave in Downtown Pittsburgh, and you have to register at least a week in advance). 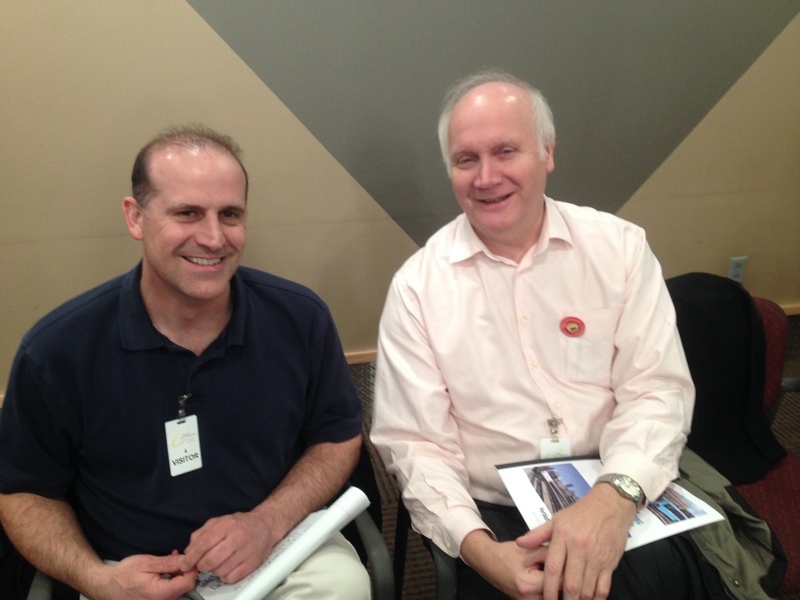 Read all the information in PPT’s handout about Speaking at a Port Authority Board Meeting. Participate in a letter-writing campaign to transit decision-makers, including our County Executive and the Port Authority’s CEO and Chair of the Board. For tips, contact information, and a sample letter, see PPT’s handout about Writing a Letter to Transit Decision-makers. North Baldwin is part of an inner-ring suburb just 6 miles from downtown Pittsburgh. The community is only a few miles from transit assets, including the West Mifflin Garage and the South Busway. There is currently an exceptionally large service gap; many residents have to walk over 2 miles to the nearest bus stop. The 50 Spencer, before it was cut, had a ridership of over 500 people per day. Over 500 residents have demonstrated that they want their buses back and are putting forth the effort to make that happen. 82 people attended a community meeting at the Borough Building to discuss transit needs on June 18th, 2014. Many residents have sent letters expressing their concerns to Ellen McLean, Robert Hurley, and Rich Fitzgerald. 5 residents have spoken during the public comment period at the Port Authority Board meetings in May and June. 12 volunteers staffed the Baldwin Community Day booth on Aug 2nd. They collected 300 petition signatures. The winner of the free raffle said she had never won anything in her life! Hopefully the next win will be restored bus service in Baldwin! 30 people attended a community meeting on Aug 5th, 2014 to continue work on this campaign. ➢ The majority would ride 6-9 am and 3-6 pm; some indicated a need for mid-day, evening, and weekend service. Pittsburghers for Public Transit is asking for your help in assessing the need for mass transit in the North Baldwin, Brentwood, and Carrick communities. We are well aware of the lack of mass transit in your community and ask that you take a few minutes to fill out the following survey so we may better understand the needs of this community and communicate them to decision-makers. Please encourage your neighbors to fill out the survey as well! Knowing what the community’s needs are is the first step towards restoring and improving transit service and access. CLICK HERE to take the BALDWIN-specific Community Mass Transit Survey online!